candy 1 to 20, depending on your child's relationship to candy, this might be dangerous--like a booze-hound looking at bottles of vodka! in any case, candy, also a counting book, is both visually stunning and delicious. each number has the same amount of pieces to it--very clever! 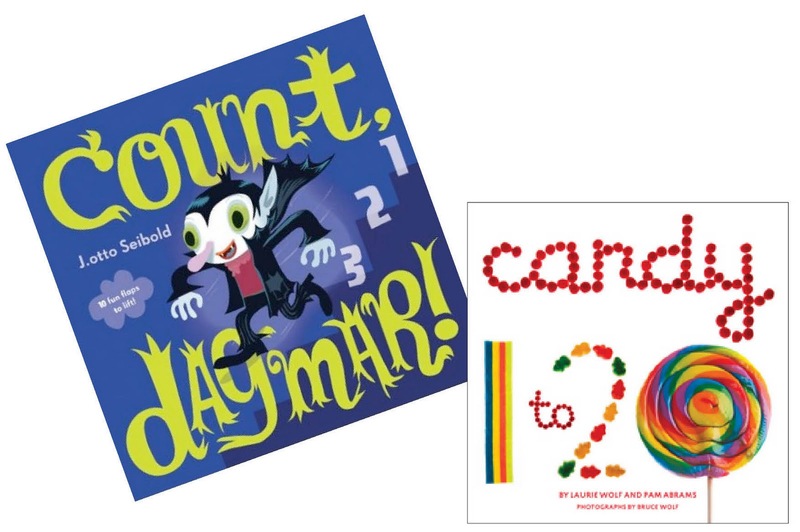 shop these and more spooky titles at books to coo about halloween!